The Daily Mail asked the Churchill Project for comment on assertions in the Mail Online of December 27th. A Member of Parliament, Laura Pidcock (Lab.- North West Durham) says she helps more people in her constituency than Sir Winston Churchill would have done. Undoubtedly the constituency work of MPs has changed since Churchill’s time. Communications and awareness are vastly enhanced nowadays. But if the honorable Member is suggesting that Churchill was too much an aristocrat to concern himself with common people, she needs to further her education. Not everybody always recognised how tender-hearted he was. I can recall him with the tears rolling down his cheeks, talking of the horrible things perpetrated by the Nazis in Germany. I can recall, too, during the war his emotion on seeing a simple little English home wrecked by a bomb. Yes, my Lords, sympathy—and more than that: he went back, and immediately devised the War Damage Act. How characteristic: Sympathy did not stop with emotion; it turned into action. 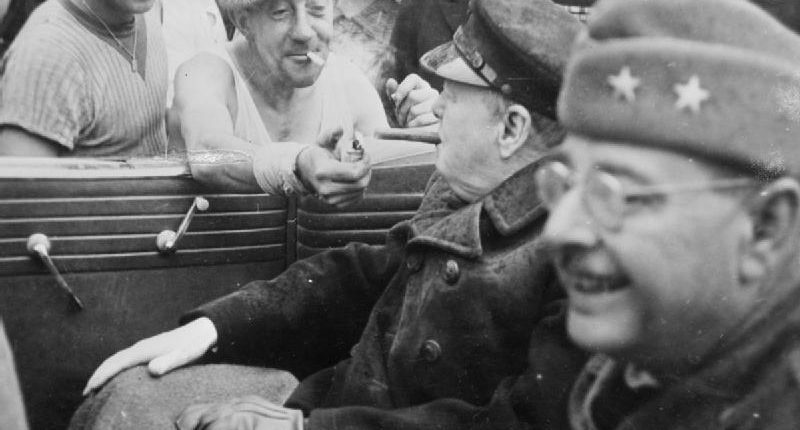 On a more personal level, Churchill did frequent kindnesses for common folk, privately and without fanfare. We know about them only through his private correspondence, the Hillsdale Churchill volumes, and the testimony of observers. Take for example the Romany couple, “Mr. & Mrs. Donkey Jack , ” who frequented his home town of Westerham, Kent. Churchill thought gypsy life romantic, and allowed them to camp in his wood. Said Churchill’s former secretary, Grace Hamblin: “Sir Winston allowed her to live in his wood, in a little gazebo which had been there for years, full of earwigs and that sort of thing, but she loved it. It would have been stupid to offer her a house because she wouldn’t have understood it. He knew just what would give her pleasure.” Later, when Mrs. Donkey Jack fractured an ankle , Churchill saw to her medical care, paid the bills, and took care of her two dogs in her absence. To her he was just “Winston.” It was often that way with common folk who knew him, from neighbors to staff to secretaries, who loved him deeply. It is easy to build a picture in one’s minds of the arch-Tory who knew and associated with only the Good and the Great. That is not the man he was. The chapter, “The Common Touch,” in my book, Winston Churchill, Myth and Reality, contains countless additional examples.